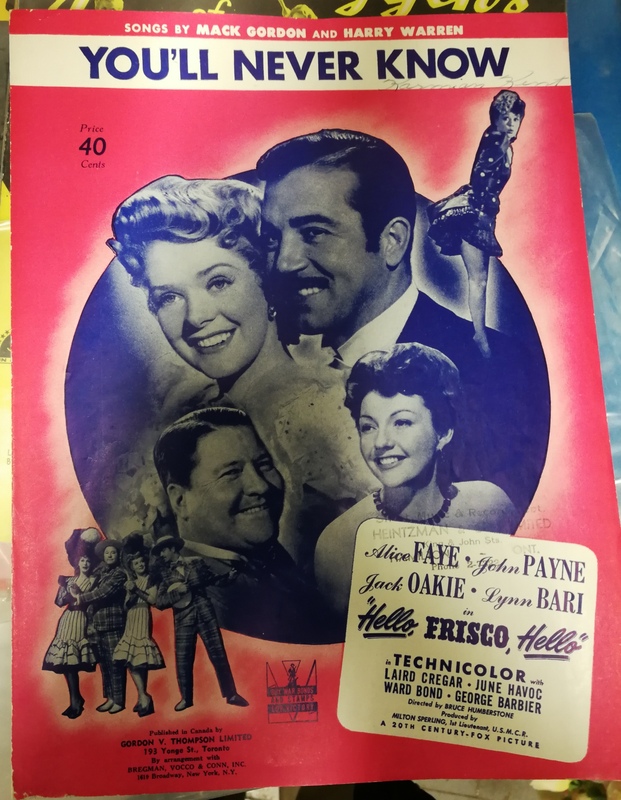 Each and every time I wander through an antique store or mall looking for original movie posters and lobby cards I’m always reminded of one certainty. 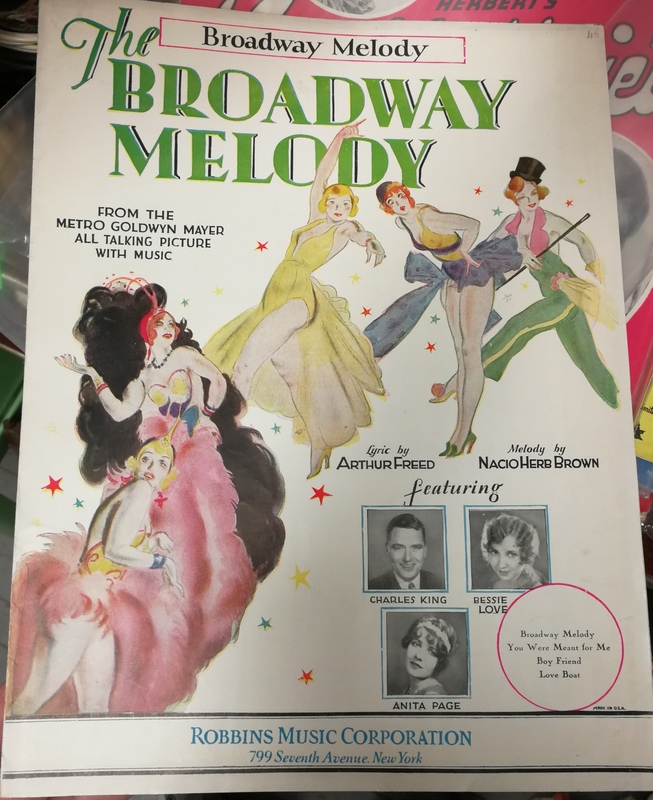 Very rarely do I actually find anything that catches my eye from the golden age of Hollywood unless I’m interested in sheet music. 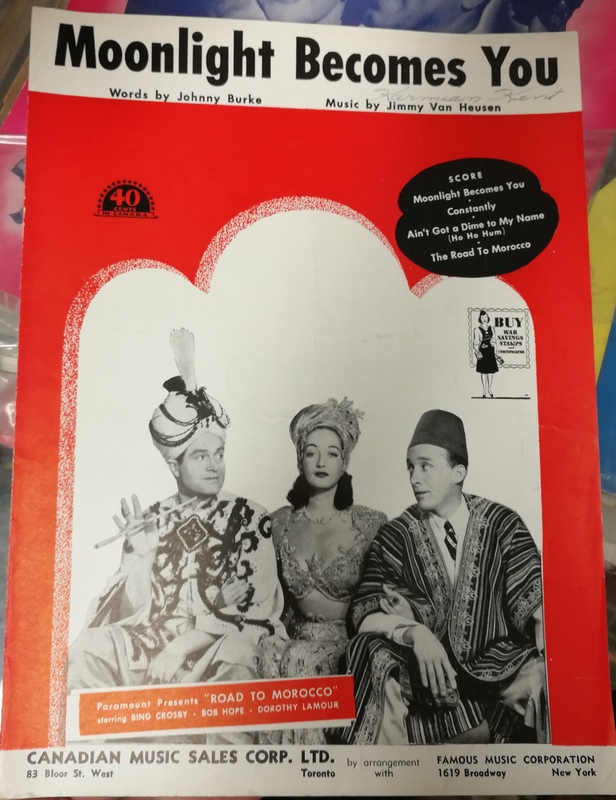 Yes there are always star studded cover sheets of lyrics and music notes available for those looking to learn the latest song sung by Dennis Morgan or Alice Faye. I always picture these opened atop a piano which only confirms my suspicions that piano’s were in far more homes in the 30’s and 40’s then they are today. 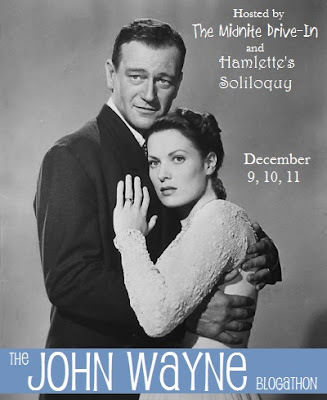 If only movie posters from this era were so cheap and easy to trip over. As it is I can’t read music so I’m not likely to sit down and pick Moonlight Becomes You on my guitar from the latest Road picture but I guess if I knew the tune I might be able to play and sing it by ear. 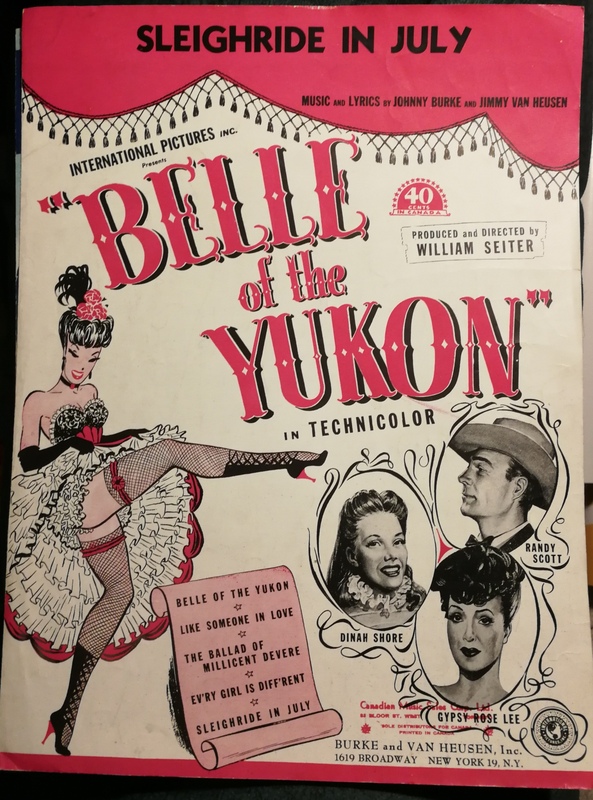 No these are not in my personal collection here in the vault but I thought I was a little overdue in spotlighting this long forgotten source of income from the era when the major studios ruled tinsel town. 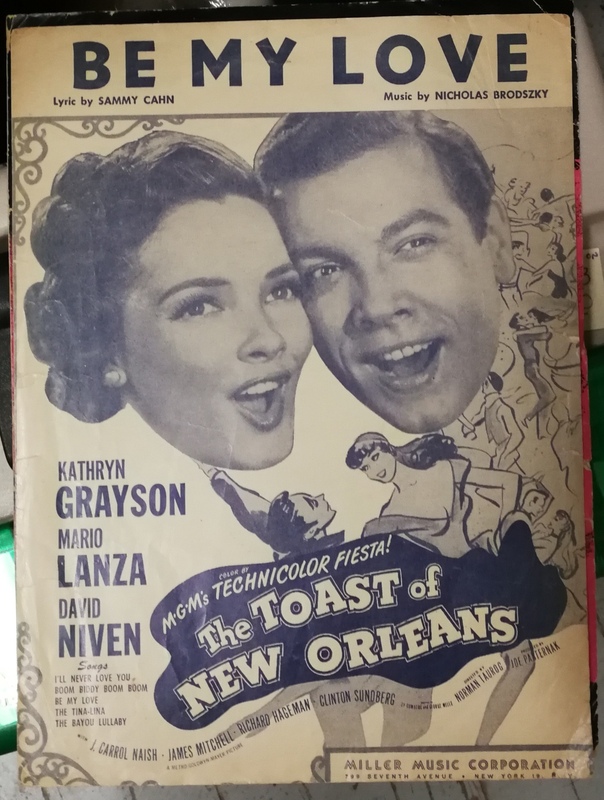 For just 50 cents here in Canada one can learn the title track of the new Dietrich – Milland film. Honestly I had to look twice here as I thought that was Cesar Romero on the cover. Turns out it’s eventual Noir favorite John Payne seen here with Alice Faye. 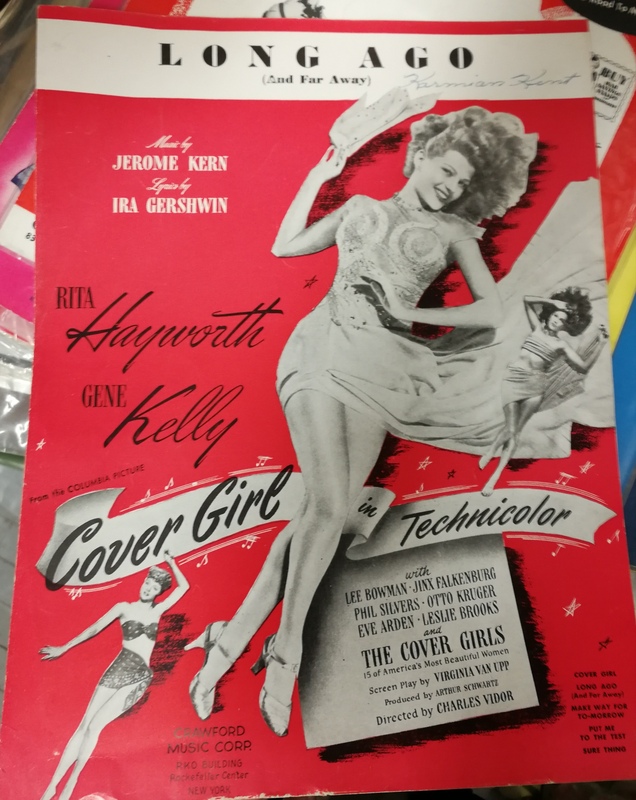 If ever there was a match made in heaven it’s the term Cover Girl and Rita Hayworth. 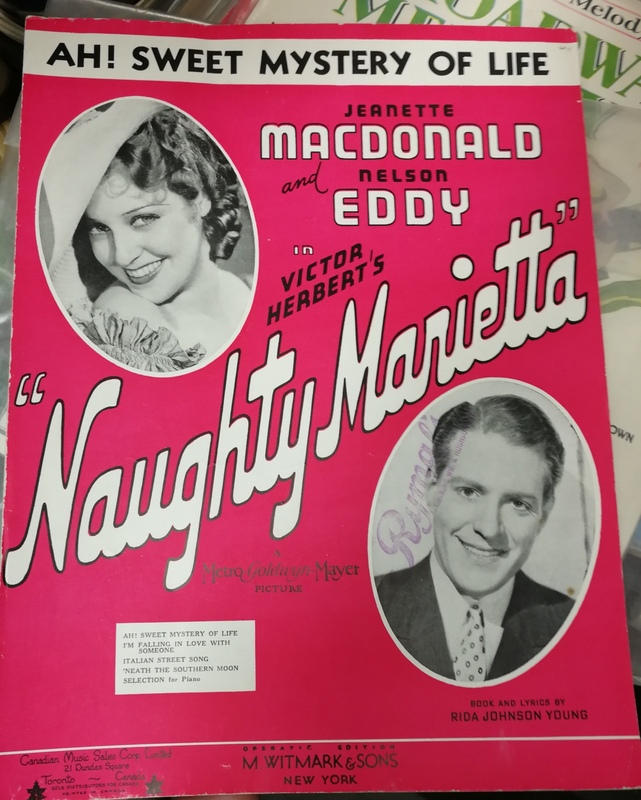 Finding a Jeanette MacDonald and Nelson Eddy duet is guaranteed the minute you begin to dig through a stack of these song books. Not only does this copy sheet toss some familiar movie stars at me but let’s just say I wasn’t born under a rock. 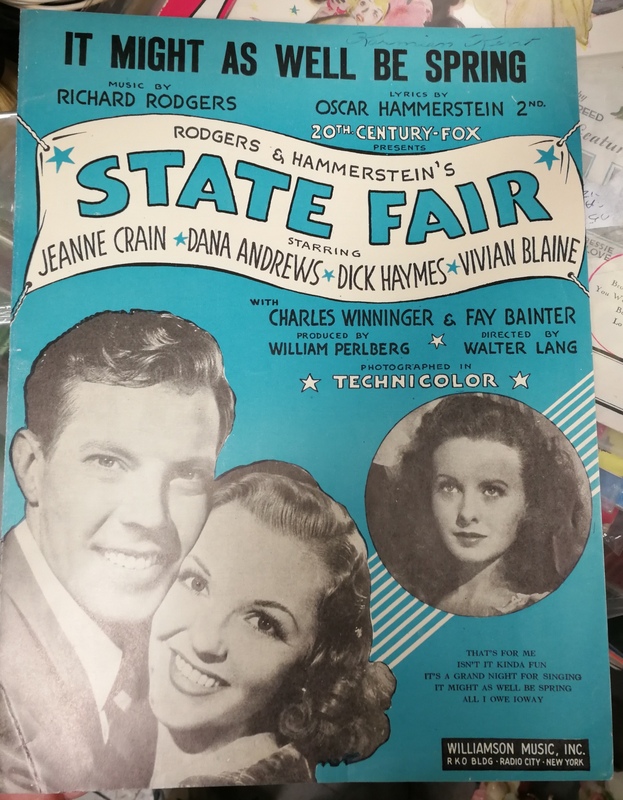 Even I know that the names Rodgers and Hammerstein carry a whole lot of weight within the industry. 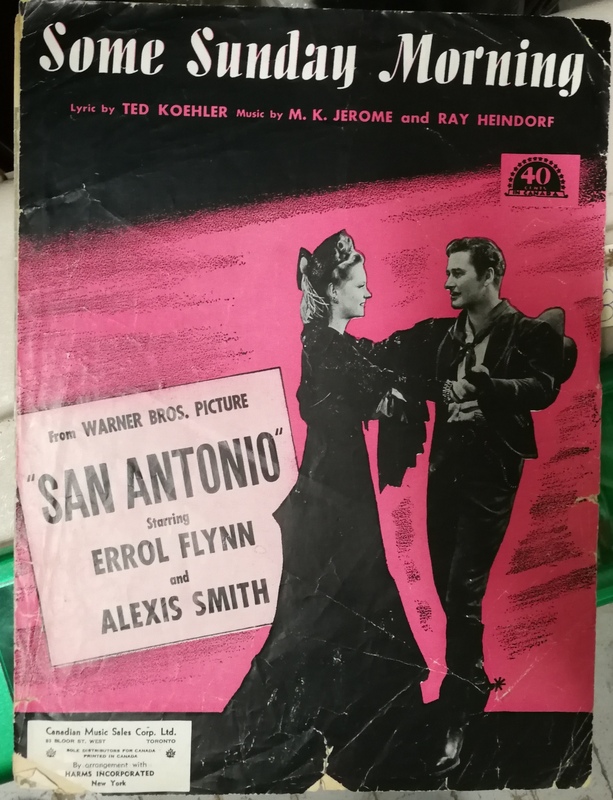 Sheet music for the Randolph Scott fans! 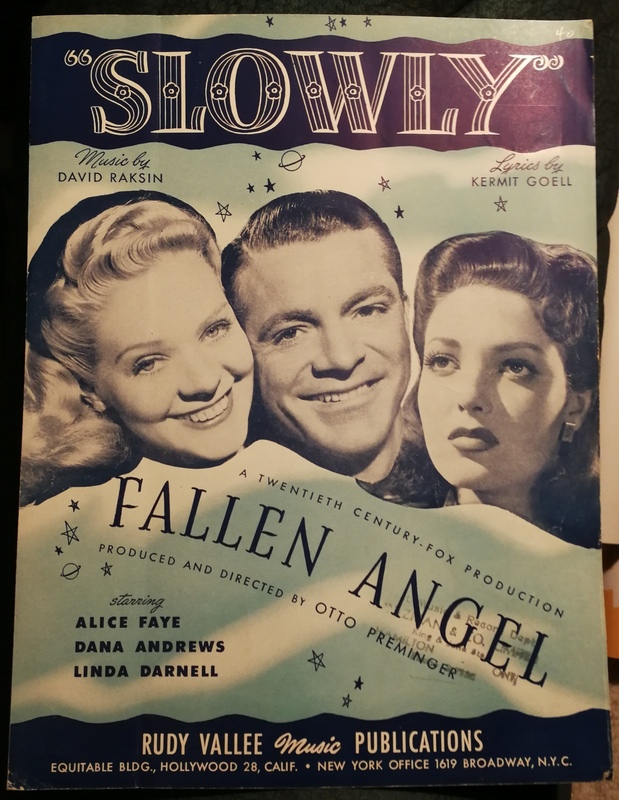 Maybe even a song for the Noir fans from the latest Dana Andrews – Otto Preminger thriller with lovely Linda Darnell and Alice Faye. So I wonder which one the boys gets Dorothy’s heart this time out? 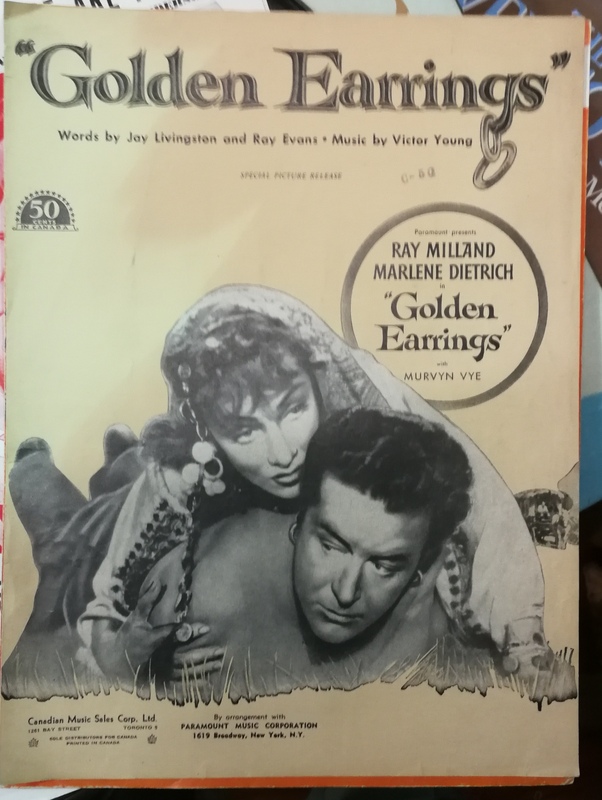 An all talking picture with music to match is sure to sell some paper products lining the pockets of Irving Thalberg over at Metro. 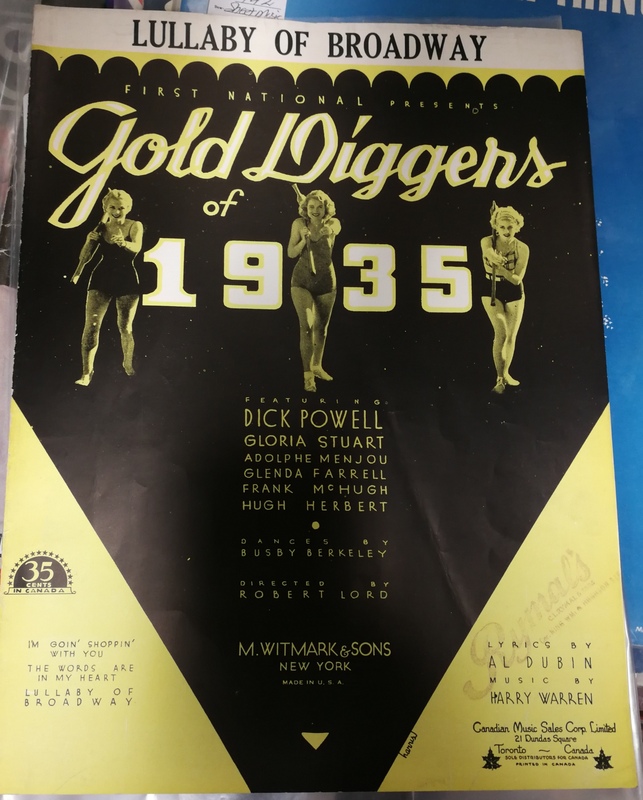 Haven’t seen this one but I’d make a small wager it isn’t David Niven singing this one on camera. 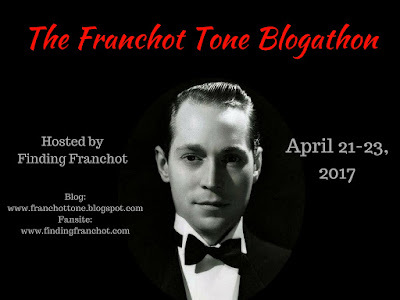 Who wants to sing lead and take us all back to 1935? 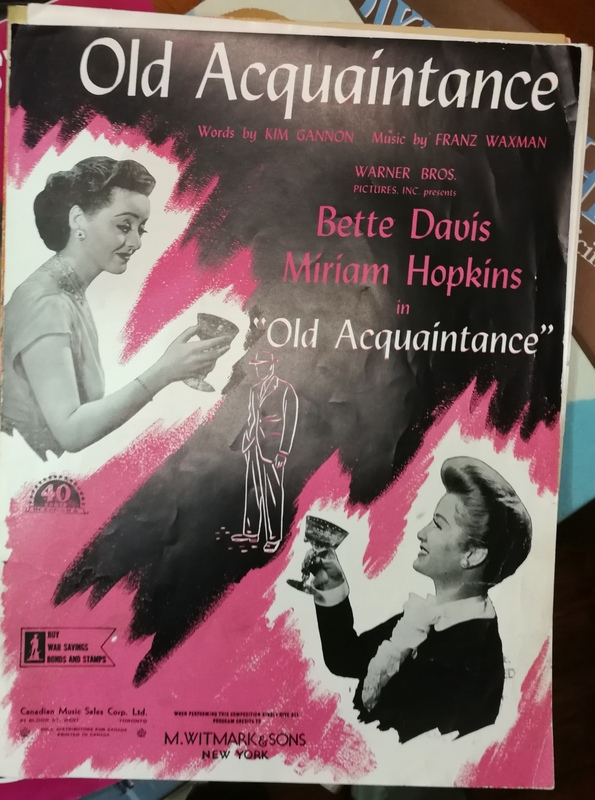 Bette Davis fans? I know you’re out there and how about some love for Miss Miriam as well. 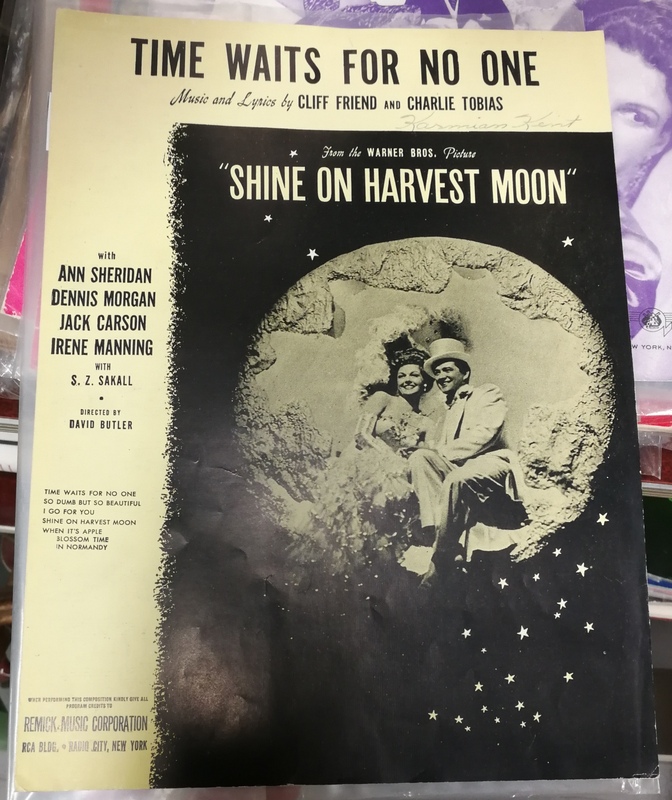 Better we hear Dennis Morgan and Ann Sheridan than Jack Carson singing Shine On Harvest Moon. 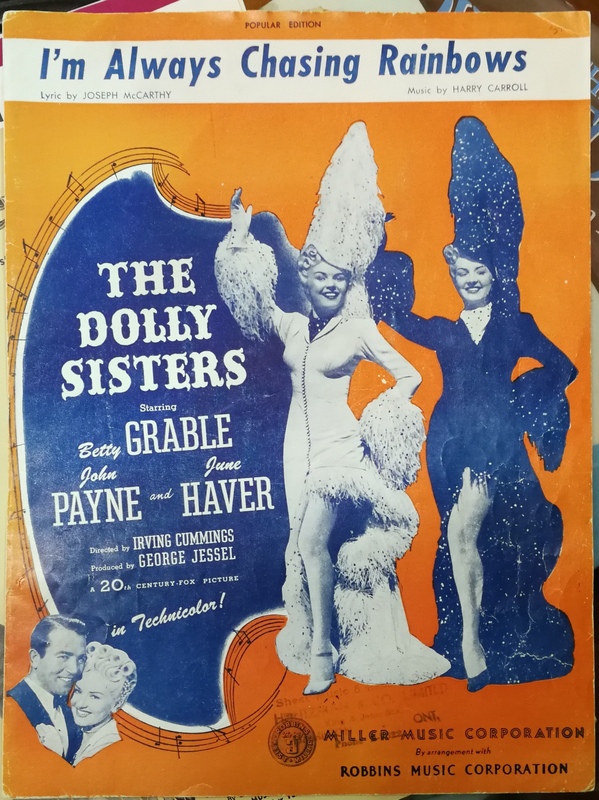 John Payne looking like himself here as Betty Grable and June Haver take center stage as The Dolly Sisters. How often have we heard the saying “The Best Things in Life Are Free.”? 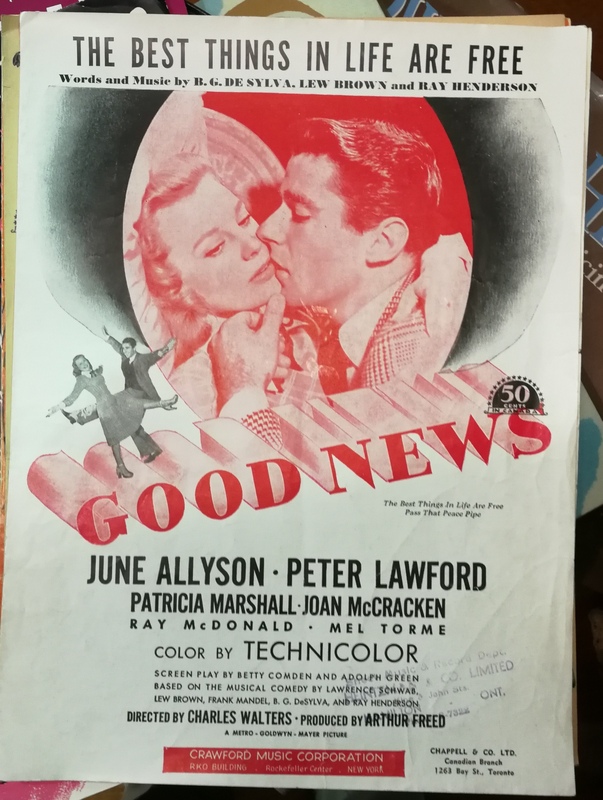 I’ve lost count but that shouldn’t hinder us all from watching June and Peter bringing in Good News. 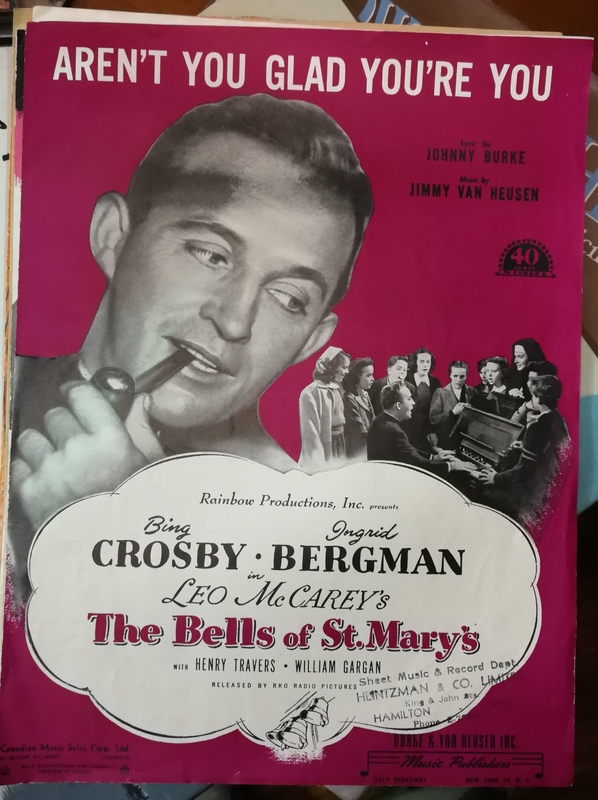 I do love a good croon from Bing so we’ll end it off with this one from The Bells of St. Mary’s and for just 40 cents! So who wants to get together sometime this summer for an old fashioned sing along around the camp fire? Be sure to bring your sheet music, portable keyboard, clarinet, violin or trumpet. We’ll make beautiful music together. 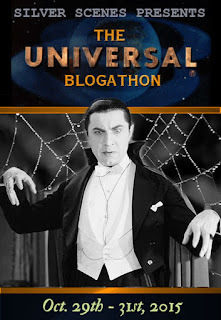 Great idea for a post. 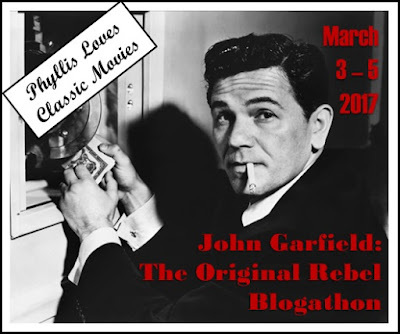 And an interesting insight into the changing face of movie memorabilia, especially for a musical ignoramus like myself! Always looking to feature something from the past and I’ve noticed these before but not a whole bunch at once which made it easy. And nostalgic to boot. Lovely selection.Will definitely join you round camp fire. A campfire sing-a-long sounds like fun! I’ll bring the marshmallows. 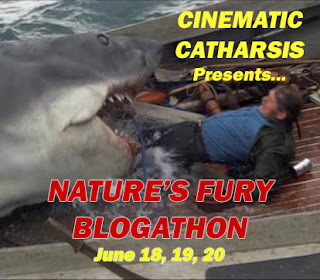 Currently a bit chilly here so let’s say sometime in July.